Does nasal surgery for snoring work? Home | Snoring | Does nasal surgery for snoring work? Posted March 1, 2016 by Dr. Kezirian & filed under Snoring, Surgery. This past weekend, I gave a lecture at the USC Advanced Endoscopic Sinus Surgery Course on the impact of nasal surgery for snoring and obstructive sleep apnea. A previous blog post examined recent research showing that studies show that nasal surgery, by itself, does not alleviate sleep apnea in most patients but that it can improve sleep quality and symptoms like sleepiness. 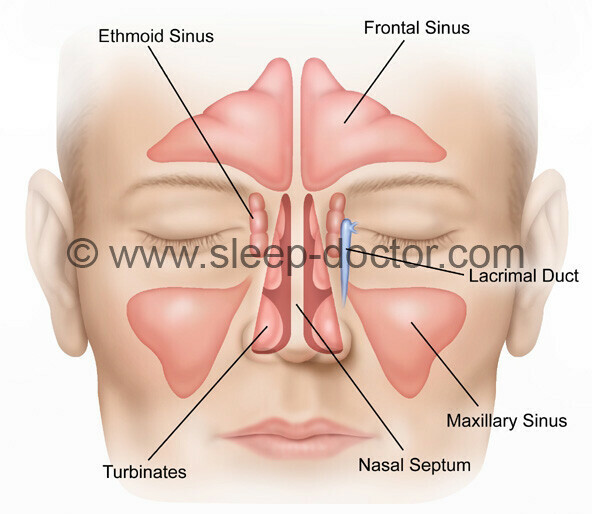 I want to expand on that previous post to discuss the role of nasal surgery for snoring. Snoring surgery success depends on determining what areas of the breathing passages are causing the snoring, whether in the Nasal, Palate, or Tongue Regions that I outline on my main website: sleep-doctor.com. Often an individual will have more than one of these Regions involved, leading to my recommendation of a combination of surgical procedures. One of the most common questions I face with my patients is how much benefit a more-limited approach that focuses on the nose only would offer for curing snoring. Why should someone consider nasal surgery for snoring? There are many studies showing that nasal surgery–whether of the nasal septum, turbinates, sinuses, or the outside of the nose–can improve nasal obstruction and other related problems. In addition, improving nasal obstruction is one of the few things that can convert someone from being a mouth breather to a nose breather. Finally, treatments for the throat like palate surgery for snoring (such as the Pillar Procedure) or an oral appliance will only work if someone is breathing well through their nose. So what are the results for nasal surgery for snoring? There are many studies evaluating the impact of nasal surgery by itself in the treatment of sleep apnea. However, relatively few studies have examined the results for snoring. The previous blog post I mentioned discussed an article in the September 2015 issue of Otolaryngology–Head and Neck Surgery examining nasal surgery for sleep apnea. In short, the study showed that nasal surgery can improve important symptoms such as sleepiness and a measure of sleep apnea called the respiratory disturbance index (capturing incomplete blockage of breathing that is enough to wake up someone from sleep) but does not generally achieve a significant improvement in the apnea-hypopnea index that measures more-substantial blockage of breathing. For anyone interested in hearing more, the journal has posted a podcast concerning the study and the perspectives from Dr. Lisa Ishii (lead author) and me. This agrees with my own experience. I have many patients with loud snoring who have it clear up completely with nasal surgery alone. However, for significant sleep apnea, usually more than just nasal surgery is required. For example, I was just speaking with one patient who had severe sleep apnea and felt that the problem was related to breathing through the nose only. After nasal surgery, nasal breathing was dramatically better, as were the symptoms of sleep apnea. We performed a follow up sleep study in spite of this tremendous improvement, and the study showed that the fairly severe sleep apnea did improve quite a bit but did not clear up completely. The good news is that we will be proceeding with additional treatment, and the patient will find even more benefit, whether for health or getting good sleep to get the most out of life. I have no crystal ball, but these are my opinions based on dedicating my career to the surgical evaluation and treatment of snoring and obstructive sleep apnea. Based on a personalized approach to shared decisionmaking with patients, even when the chances of clearing up sleep apnea are low, sometimes I will treat nasal breathing as a first step and reevaluate before proceeding with additional procedures. Sometimes we are all surprised by how much benefit we see after nasal surgery.